The next installment about my journey baking my way through The Bread Baker's Apprentice: Mastering the Art of Extraordinary Bread by Peter Reinhart. I started the project in August of 2011 (pre-blogging days) and finished in August of 2012. Abandon any preconceived ideas you have about rye flavor out of your head. I'm pretty sure it's the caraway seeds or other flavorings that we taste in those grocery store breads. Not that the flavor is bad, it's just not the rye. This bread's flavor is even more unusual. The recipe calls for orange zest, aniseeds, fennel seeds, cardamom, molasses, and brown sugar. The bread almost tastes medicinal... in a good sort of way. It is really good toasted with butter and jam. The recipe calls for a 30/70 ratio of rye to wheat flour. At that ratio, you have to be very careful about not over mixing the dough as rye flour can become quite gummy. 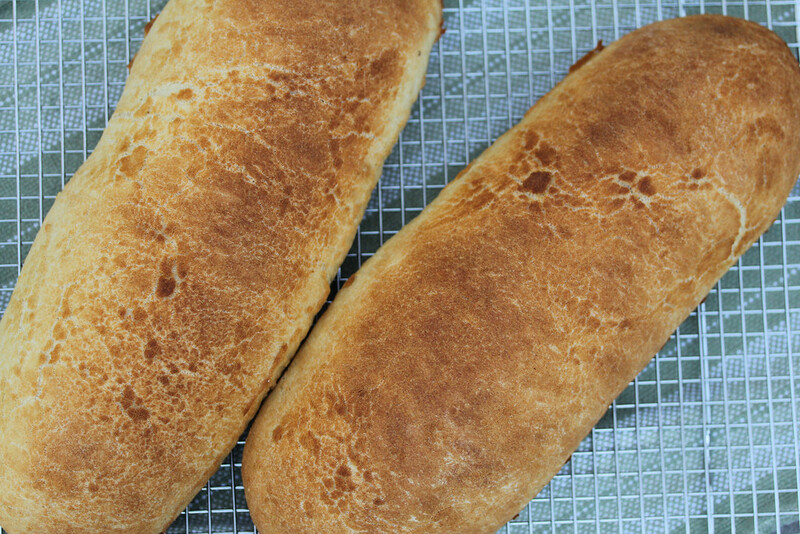 The loaves are slashed prior to the second rise. 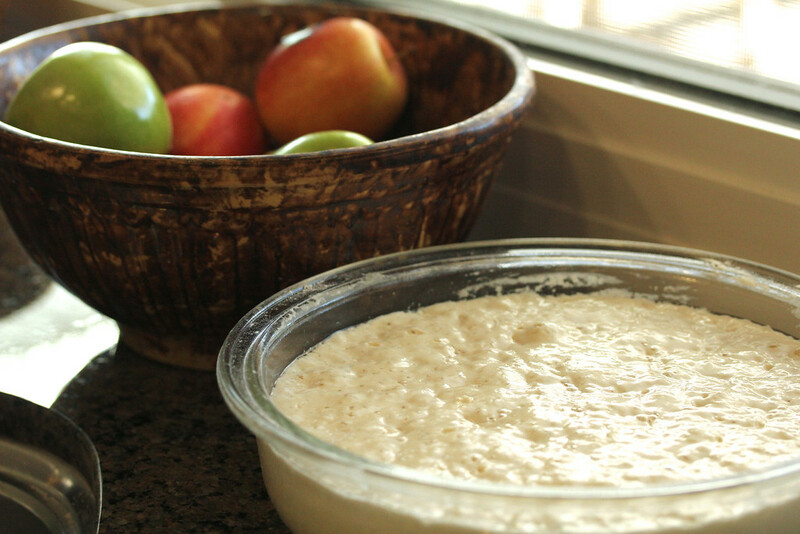 For some great step-by-step photos of the process, visit The Bread Experience. Verdict: A great bread. An acquired taste. Worth trying. So here's the deal about this bread. It does not contain salt. I once accidentally left salt out of a bread recipe before. Taste? Cardboard. 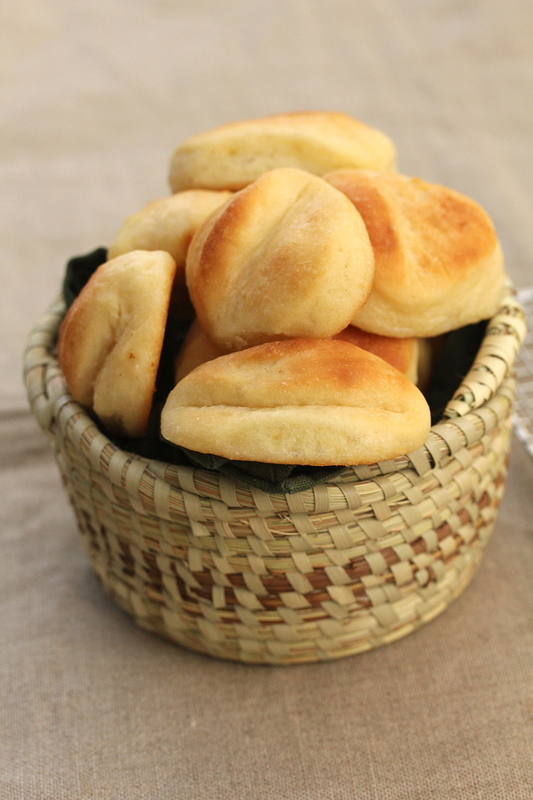 This bread calls for a cooked flour paste that is made the day before to develop flavor to substitute for the lack of salt. Whatever, in the end I added salt. I just wasn't willing to go through all of the work to make something I'd probably hate. Who needs another bread pudding to recycle mediocre bread. Verdict: While I can't speak to the original recipe's flavor, I was happy with my bread. I definitely recommend experimenting with the flour paste concept because it does add another dimension. Oh, and my loaves, aren't they pretty? 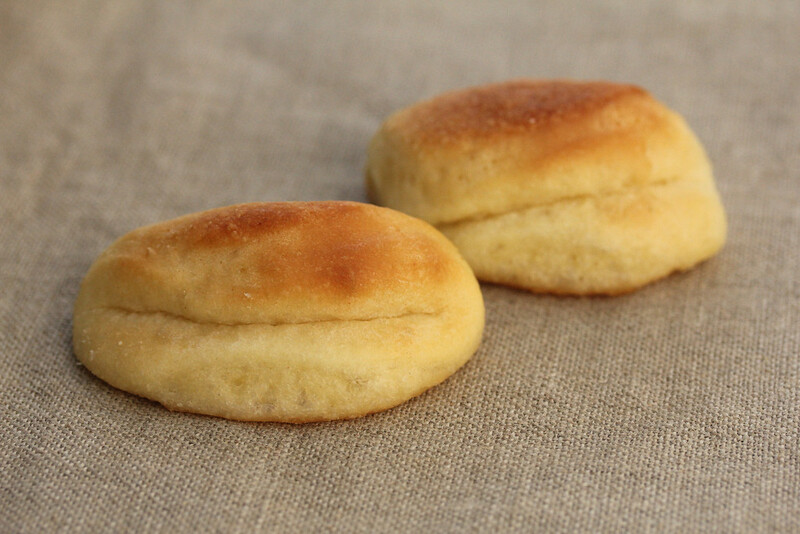 Vienna bread is similar to French or Italian Bread, but enriched with sugar, barley malt, egg, and butter. 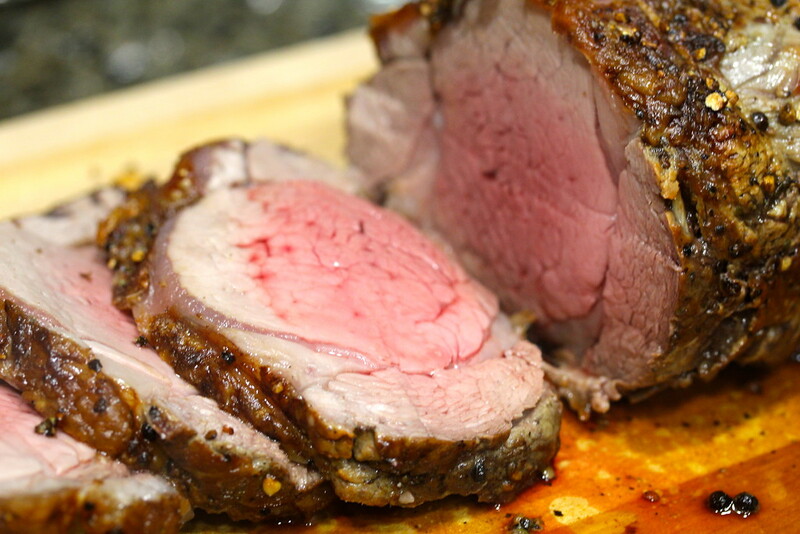 This softens the crust and and tenderizes the interior. 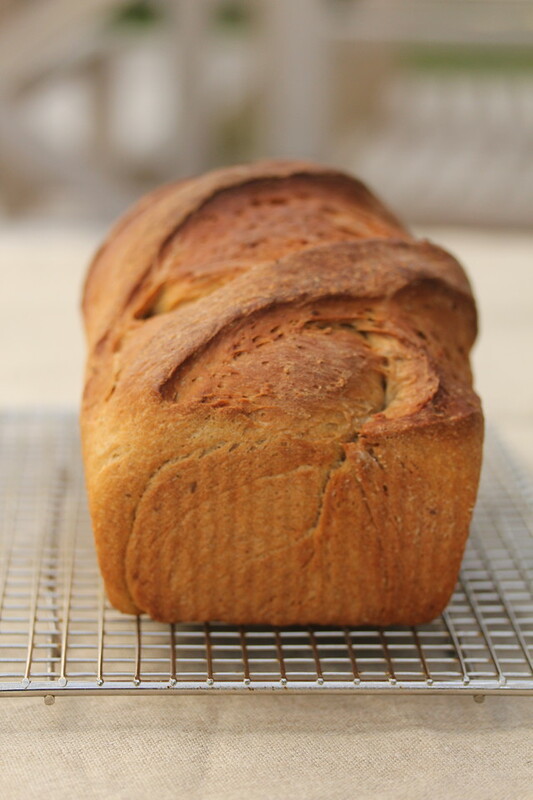 The mottling on the top of the bread is Dutch Crunch, which is a combination of flour, rice flour, yeast, sugar, salt, oil, and water paste brushed on the loaves prior to baking. Verdict: Pretty good, but not "oh wow" good. For step-by-step photos, visit this site. Just don't get intimidated by the idea of making your own malt powder. I got mine from King Arthur Flour. I am sure there are other sources. 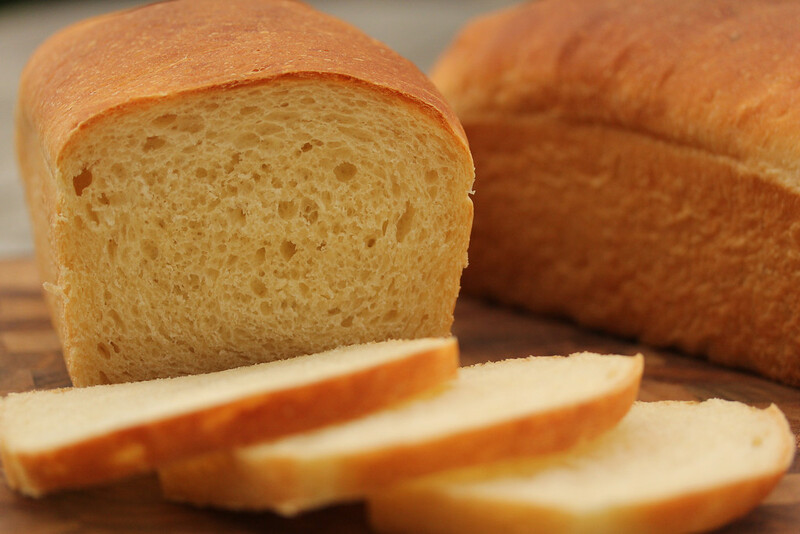 If the only white bread you have tried is store bought, you must try making your own. There is no comparison. 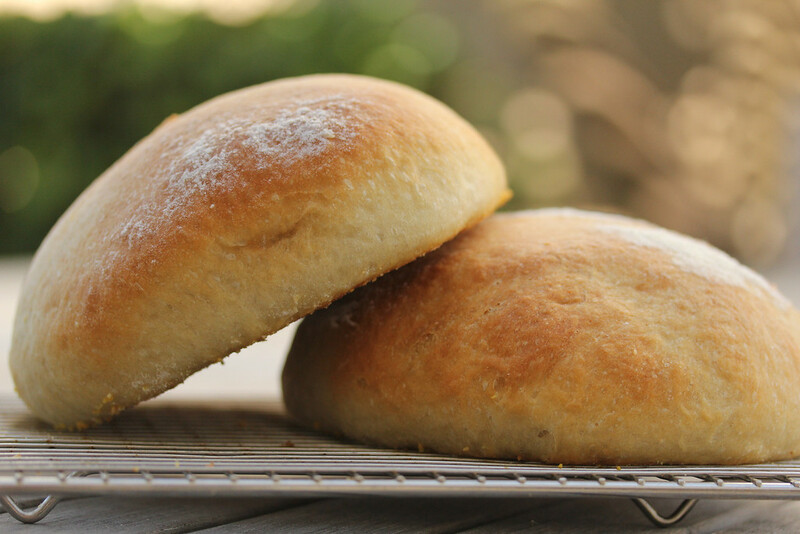 Verdict: Make your own white bread. Make this bread. Don't put up with bad bread. You can find the recipe here. Verdict: Great 100 per cent whole wheat bread. Get the book. 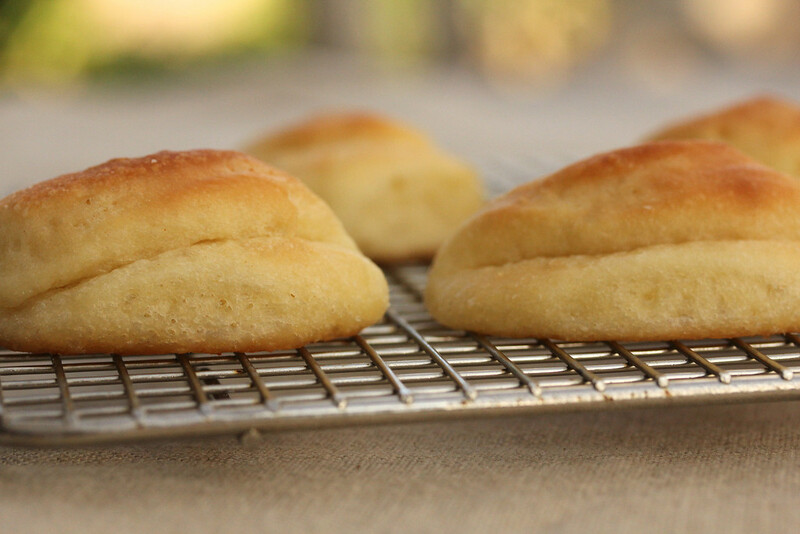 Make these breads. 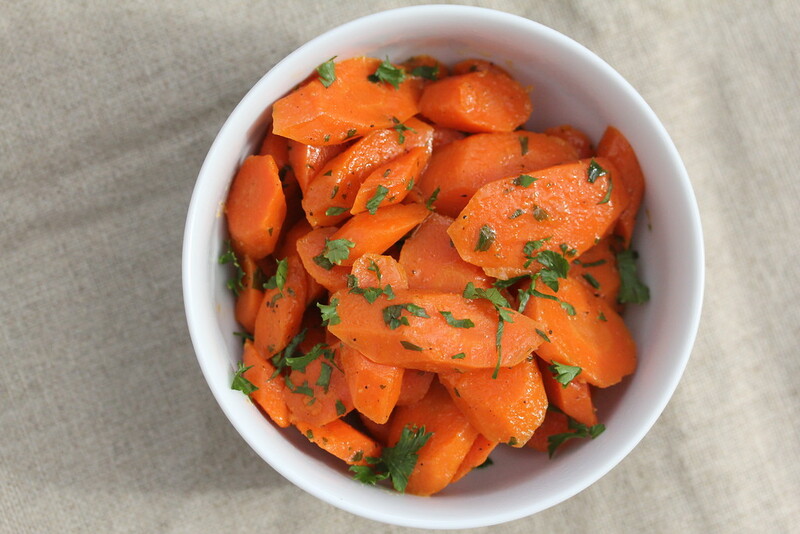 According to Ina Garten in Barefoot Contessa: Family Style, "These sauteed carrots are the essence of 'carrot-ness.'" Truly they are. I've never been a big fan of cooked carrots. They've either been simmered to an overly soft consistency, or they've had so much sugar added to them that they resemble sweet potatoes. They're fine in stews or soups, but on their own? Not so much. These carrots are wonderful. They are just barely cooked with a small amount of water so that they don't lose all of their flavor, and then tossed in salt, herbs, and butter. They stand on their own, but don't take over. If you are serving them to kids, you just might want to set aside some to make them without the "green stuff." 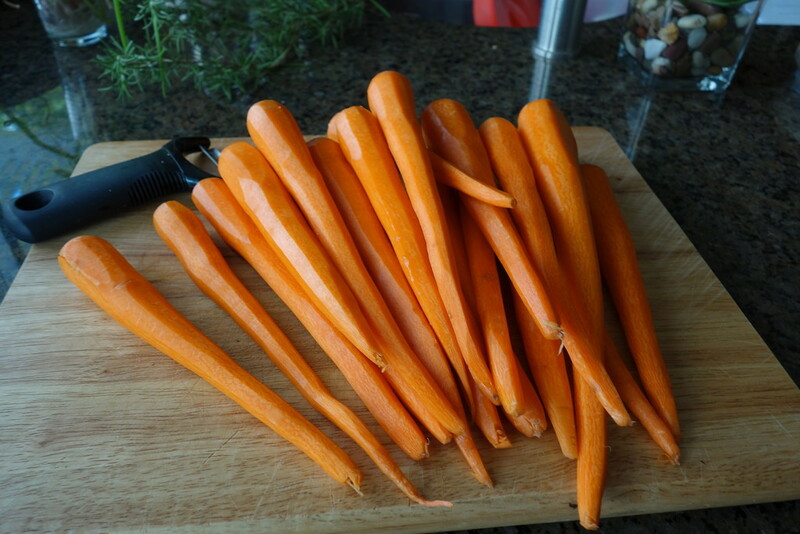 2 pounds carrots, peeled and cut diagonally into 1/4 inch slices, approximately 6 cups of carrot slices. 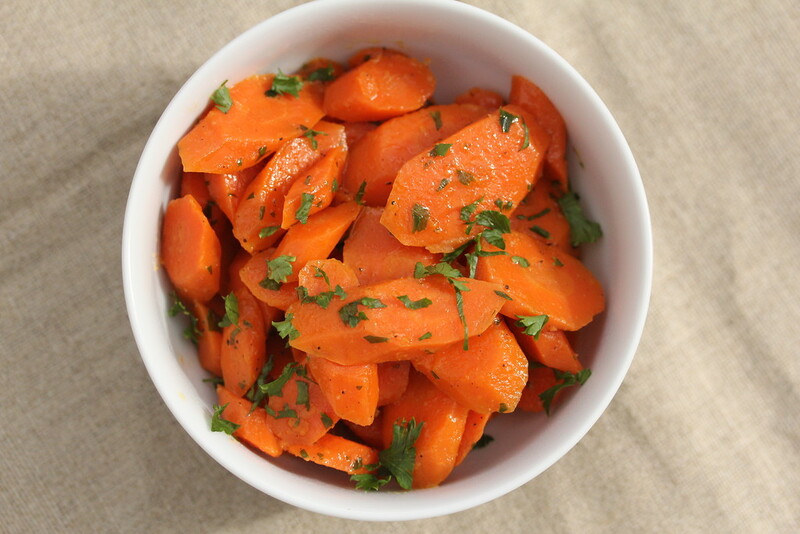 Carrots can be peeled and sliced a day in advance. Place the carrots and the water into a 12 inch saute pan and bring to a boil. Cover and cook for 8 minutes over low heat. 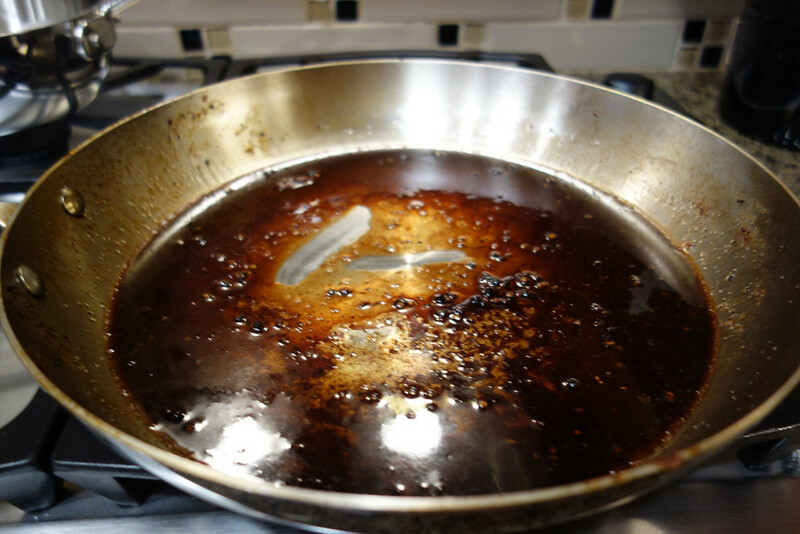 Uncover, add the butter, bring the heat to medium low, and saute for about a minute, until the water is evaporated. Turn off the heat and add in the herbs, salt, and pepper, and toss. I kept these warm in a warming oven for about 30 minutes while putting the finishing touches on the rest of the dinner and the dish did not suffer. The leftovers were equally as good the next day. If you want to try making them in advance, wait to add the herbs until after you reheat them so that the herbs are fresh and green. This is going to be my "go-to" carrot recipe. Loved them. 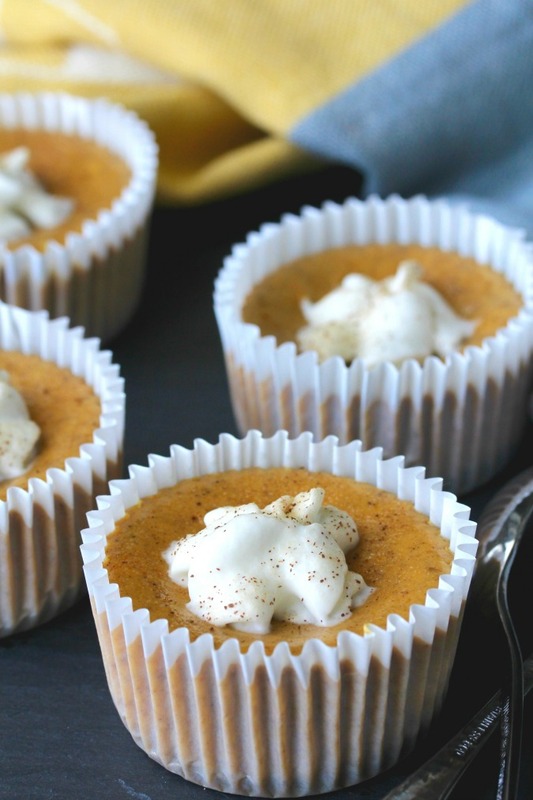 These mini Pumpkin Cheesecakes are the perfect little holiday treat. The crust is so simple, just a gingersnap dropped into the bottom of a muffin tin, and, because these are muffin-sized, they're pretty foolproof. Even if the tops of your cheesecakes sink too much, or even crack, you can hide any flaws with a spritz of whipped cream. These little cheesecakes are also wonderful for using up any leftover pumpkin puree you might have. Aren't these cute? They are also really good.... and they make you look so clever. I think these would make a wonderful hostess or holiday gift. I love cookies and sweets, but don't you think these would be a welcomed savory treat? Look at all of the cute shapes! The crackers are reminiscent of fish crackers, but much more buttery and cheesy. I used these little jelly cutters to make these shapes. 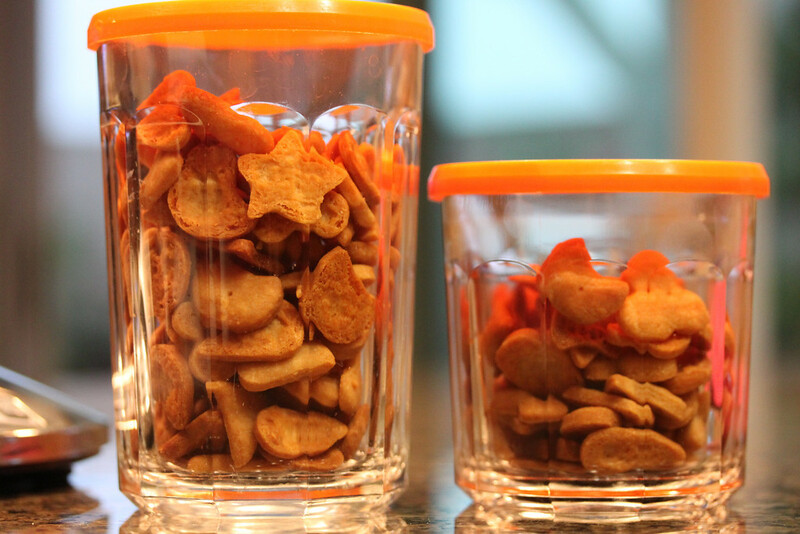 If you'd like to make mini goldfish, you can order this mini fish cookie cutter. I'm kind of tempted to buy it even though the price of one fish is nearly equal to the price of the jelly cutters. I have a problem. Adapted from Smitten Kitchen. She made the fish version and they are ridiculously cute. Makes about 100 crackers. Place all of the ingredients in the bowl of a food processor and run it until the dough forms a ball. This should take about two minutes. Wrap the dough in plastic wrap and chill in the refrigerator for 45 minutes. Preheat the oven to 350 F and position a rack in the middle. On a large piece of lightly floured wax paper or other flat surface such as wood, marble, or granite, use your hands to push the dough out into a rectangle, getting it as flat as you can. 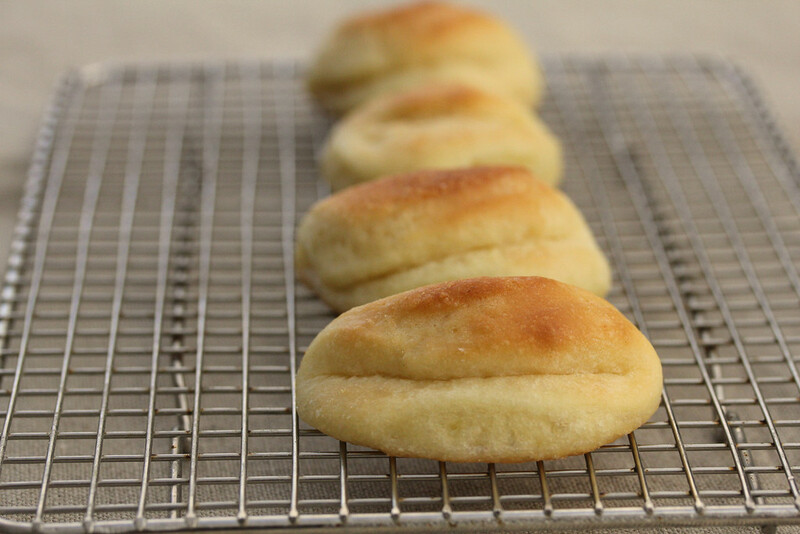 Roll out the dough to 1/8 inch thick with a floured rolling pin. Cut the dough into shapes and transfer them to an ungreased or parchment lined baking sheet, placing them about 1/2 inch apart. These are pretty tiny, so one sheet may be enough, but if you need two sheets, bake them one sheet at a time. Prick each shape once with a skewer, cake tester, or toothpick all of the way through. 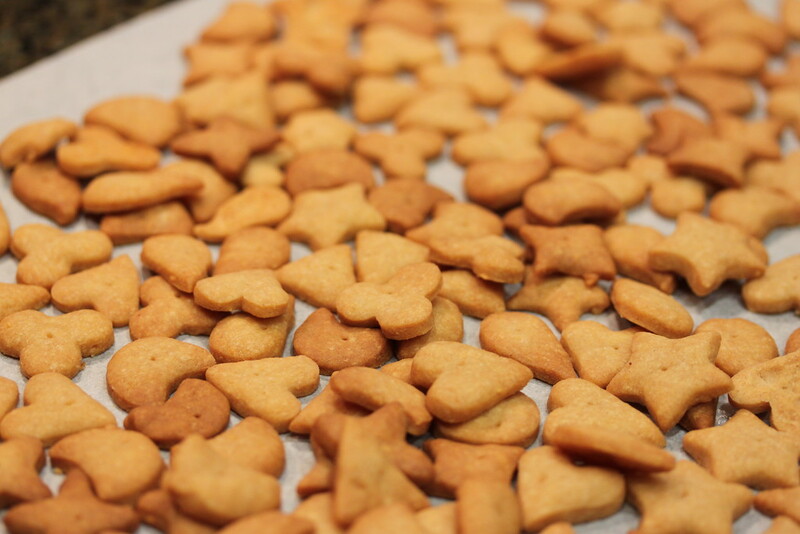 Bake the crackers for 12 to 15 minutes. Watch them closely after 12 minutes and remove them from the oven when they are just browned on the edges. Cool the crackers on the cookie sheet on a wire rack. See how the edges of the slash stick up and are all toasty? Those are bread ears. It's what we bread bakers all strive for. These are my best ever. It's amazing what gets us excited. 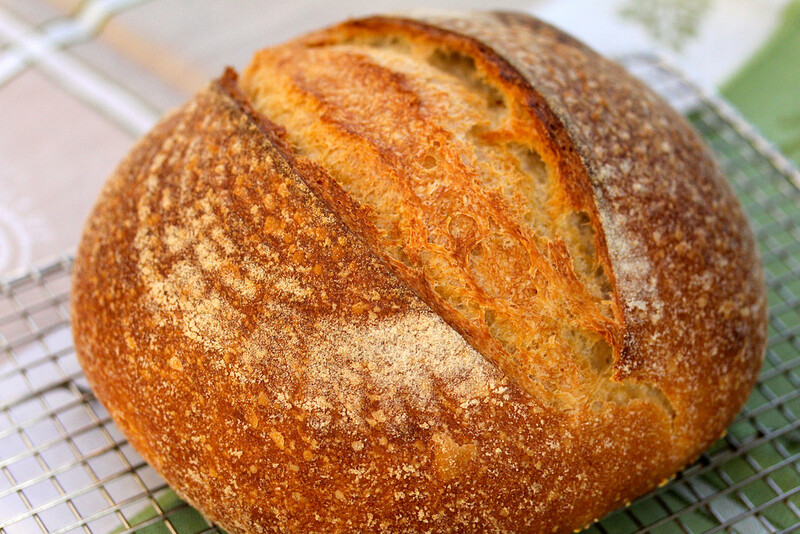 To learn more about bread scoring and "ears," check out this tutorial over at The Fresh Loaf. 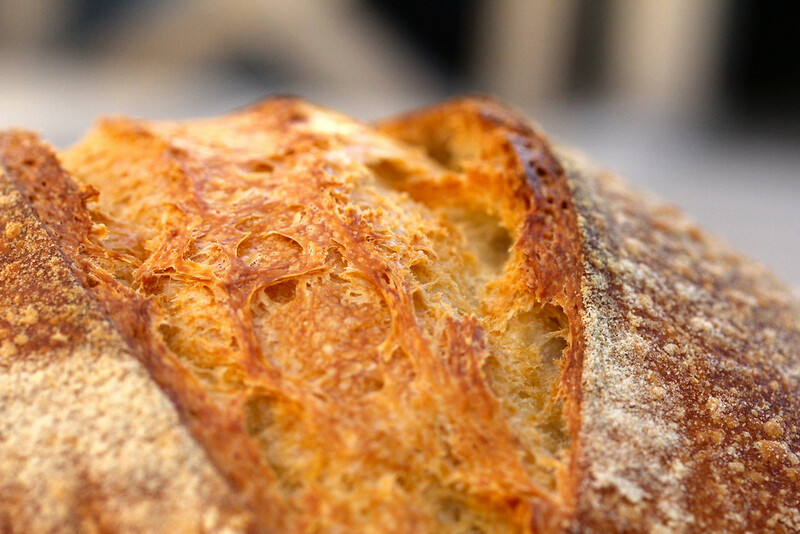 This is a lean sourdough bread made with a liquid levain and without commercial yeast. It was a little under proofed when I put it in the oven, and I baked it in a cast iron Dutch oven. When it came out of the oven, the crust hissed and crackled. Because I opted for a two hour final fermentation, rather than the long refrigerated fermentation, the sourdough flavor was very faint. The recipe calls for durum flour, which I cannot find locally. 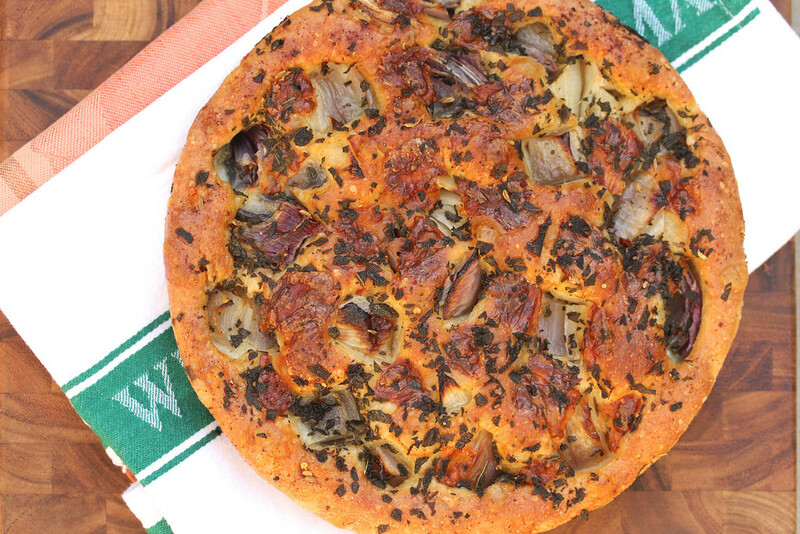 I order mine from King Arthur Flour, and keep in the freezer. Course ground semolina flour is easier to find and can be substituted for some of the durum, but you might have to play around with the formula. Doesn't this make you want a big glass of ice cold milk? Adapted from Smitten Kitchen, adapted from Retro Desserts by Wayne Brachman. Makes about 26 cookies. 1/2 C unsweetened Dutch process cocoa. While it's not necessary, I used 1/2 regular Dutch process cocoa and 1/2 King Arthur Flour's black cocoa because it makes the cookies extra dark. In a food processor, mix the flour, cocoa, baking soda, baking powder, salt, and sugar. Pulse while adding first the butter, and then the egg. Pulse until the dough forms a mass. Form rounded teaspoons of batter and place them about 2 inches apart on parchment lined baking sheets. I used this small cookie scoop. It really helps to keep the cookies evenly sized. Flatten the dough with a dampened hand or the bottom of a glass. 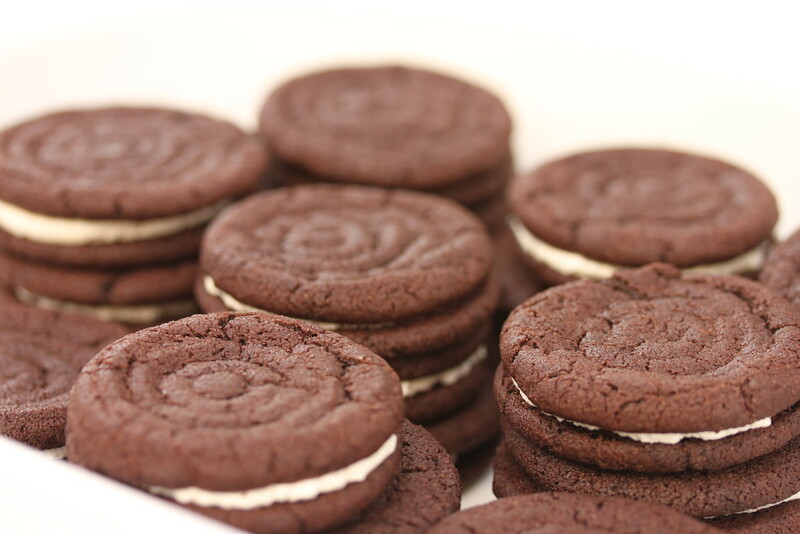 I used the pusher from my food processor to get those cool circles on top of each wafer. Bake, two sheets at a time for 9 minutes, rotating the sheets halfway through. Smack the cookie sheets on the counter once when you remove them from the oven to let some of the air out of the cookies, and set them on a rack to cool. Using a hand or stand mixer, blend the butter and shortening. On low speed, slowly add in the powdered sugar and vanilla. Beat the filling on high speed for about 3 minutes, until it is very fluffy. Place the icing in a pastry bag with a 1/2 inch round tip. Alternatively, place it in a plastic storage bag and cut off the corner to pipe the icing. Pipe a scant tablespoon sized dollop of icing onto half of the cookies. 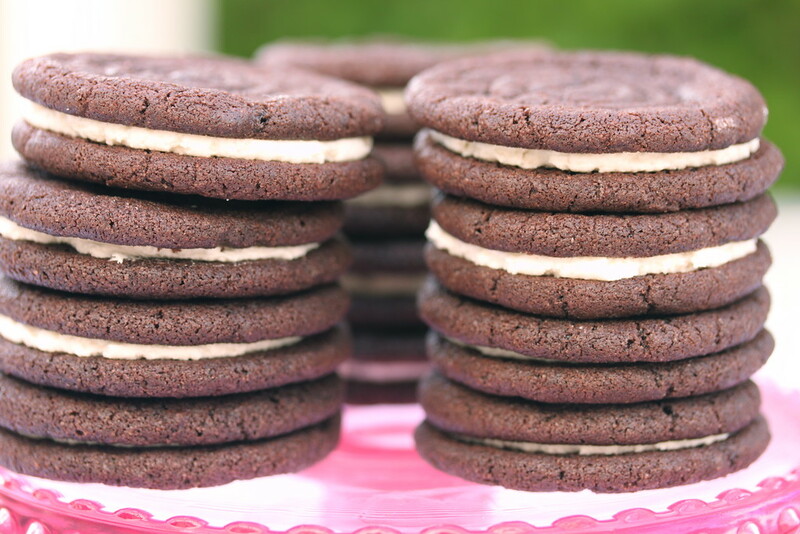 Top each with another cookie and press lightly to evenly nudge the filling to the edges of each sandwich. This week, the Tuesdays with Dorie group is baking a brownie recipe titled "Best-Ever Brownies" from the book Baking with Julia. This recipe involves melting chocolate and lots of butter, adding some sugar to the chocolate butter mixture, slowly adding half of the four eggs and sugar to the chocolate, whipping the other half of the eggs and sugar into a frothy concoction, folding it into the chocolate, and then folding in the flour and salt. Phew! I had to read the recipe several times just to make sure I was doing it right. 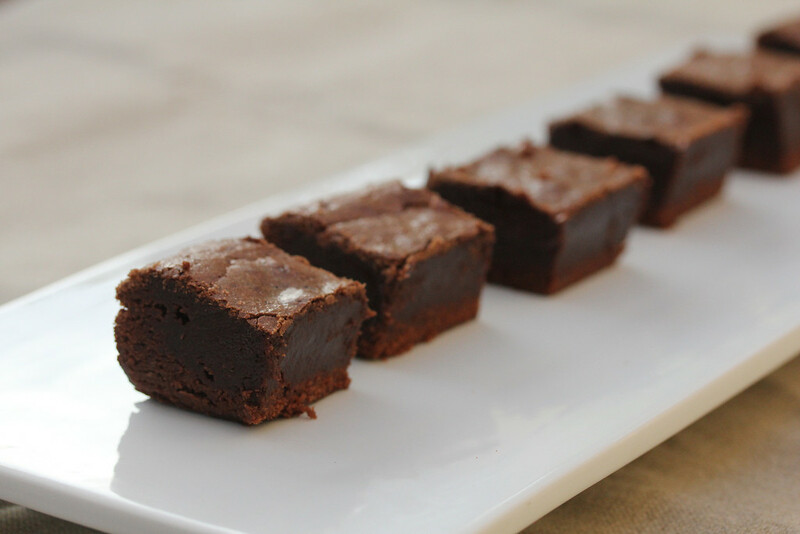 Not your typical brownie recipe. The recipe calls for a 9 inch square pan, preferably ceramic or glass. Really? Another piece of cookware this cookware junkie with a pan habit does not have? I do have an enameled cast iron 9 inch square pan, so I went for it even though cast iron stays hot for quite awhile, and the brownies are supposed to cool in the pan. I really couldn’t tell by the instructions how to determine if the brownies were done, so I pulled the brownies out at 28 minutes (the max amount of time according to the recipe) even though they were kind of liquid in the middle but set on top. 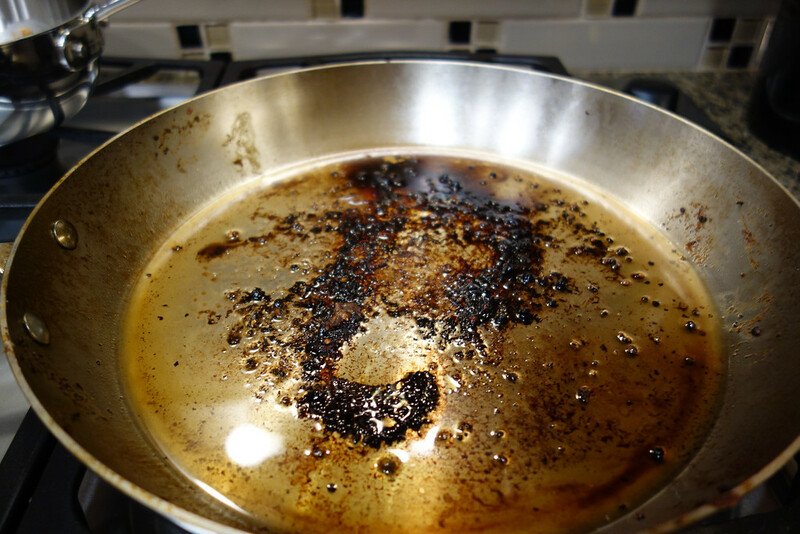 I figured that the pan would stay hot and continue to cook. So.. are these the Best-Ever Brownies? They are really good actually. They are super fudgy, not at all cakey, but not necessarily chewy. A little goes a long way. 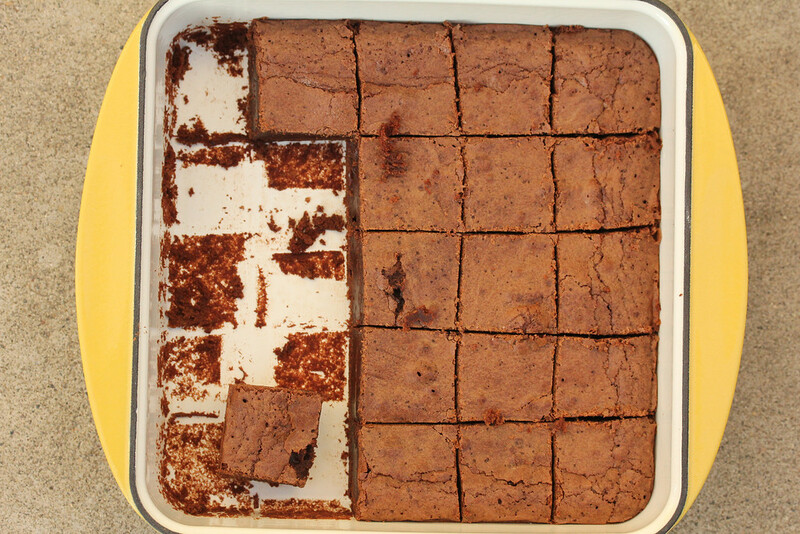 While the knife inserted into them to test for doneness came out coated in batter, once the brownies cooled, they came together. I'm not sure if it was the pan or the 6 ounces of chocolate bar in the recipe. 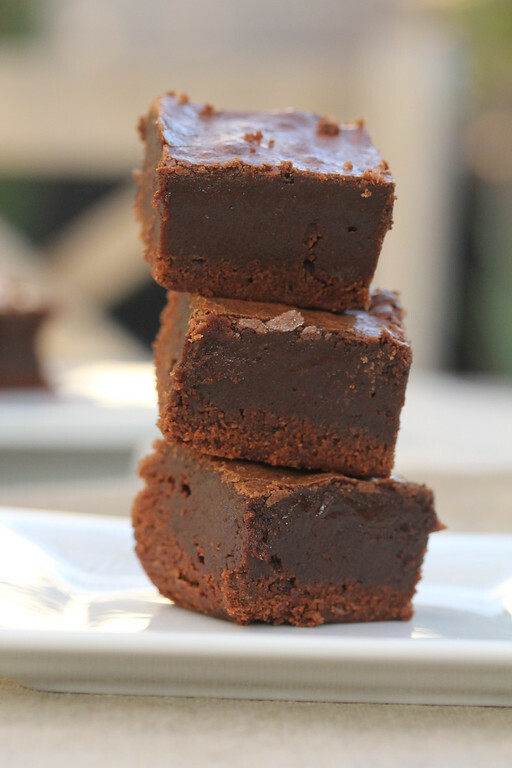 If you make this recipe, definitely allow the brownies to cool completely before cutting them. 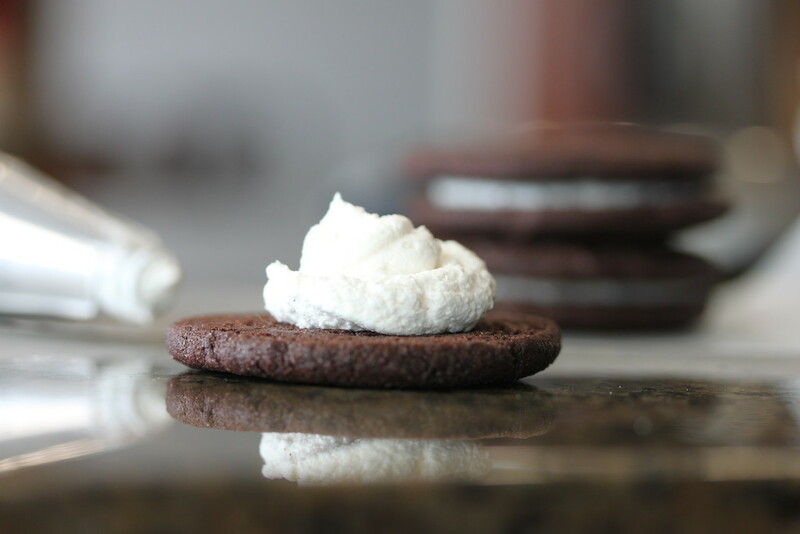 You can find the recipe on Monica's A Beautiful Mess blog. It's a really sweet blog by the way. For more information about Tuesdays with Dorie, click here. 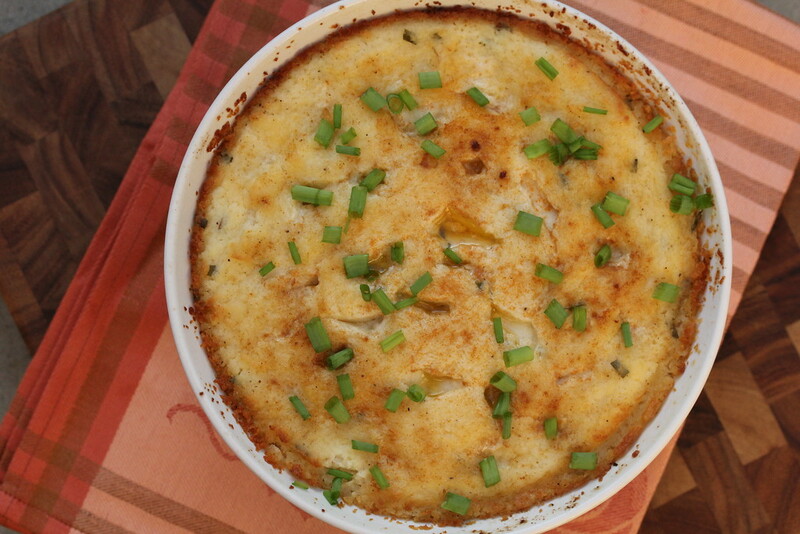 This recipe for mashed potatoes is good for those times when you are feeding a crowd and you don't want to be stuck in the kitchen mashing potatoes while you are supposed to be slicing the turkey and making the gravy. It is also great for potluck gatherings. The potatoes can be made up to three days in advance and refrigerated. In a pinch, especially if you only have one oven, they can be partially cooked in a microwave, and then finished in the oven once you've removed the Thanksgiving turkey or Christmas roast. The cream cheese and sour cream add sort of a "twice baked potato" flavor. In my mind that's a good thing. I know you are busy, so here is the recipe. I started this tangelocello last May and finished it in July. At that point I was so thrilled with the results that I made limoncello. Both liqueurs have been sitting in my freezer waiting to be bottled for Christmas and hostess gifts. Limoncello (and its cousins) is wonderful by itself as an after dinner digestivo, or mixed into a cocktail such as this one. It is also wonderful on vanilla ice cream. I found this recipe in the book, Gifts Cooks Love: Recipes for Giving by Diane Morgan for Sur la Table (one of my favorite stores). The book contains recipes for all kinds of food gifts along with gorgeous ideas for packaging them... and there are lots of fabulous photographs. If you'd like to create elegant homemade gifts for the holidays, get this book. 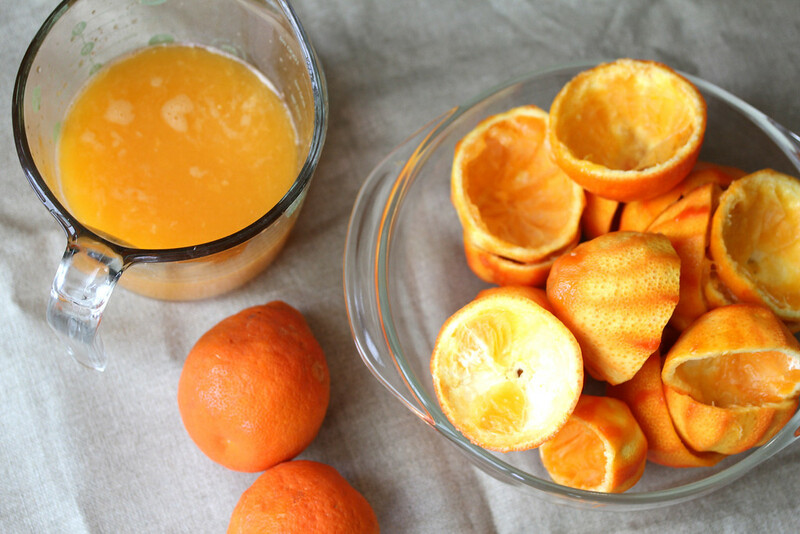 This recipe works for lemons, oranges, or tangelos. It's best to use organic or home grown citrus, but if it is not available, really scrub the fruit to remove any wax and pesticide residue before you remove the rind. You will need a one gallon jar to brew this liqueur. I got mine through Amazon but you can find them at The Container Store as well. You'll also need a fine mesh strainer and a funnel. Make sure that everything you use is washed in very hot soapy water or the dishwasher. Finally, for gifts, you will need glass bottles. I've found them at Sur la Table, Crate & Barrel, and The Container Store. 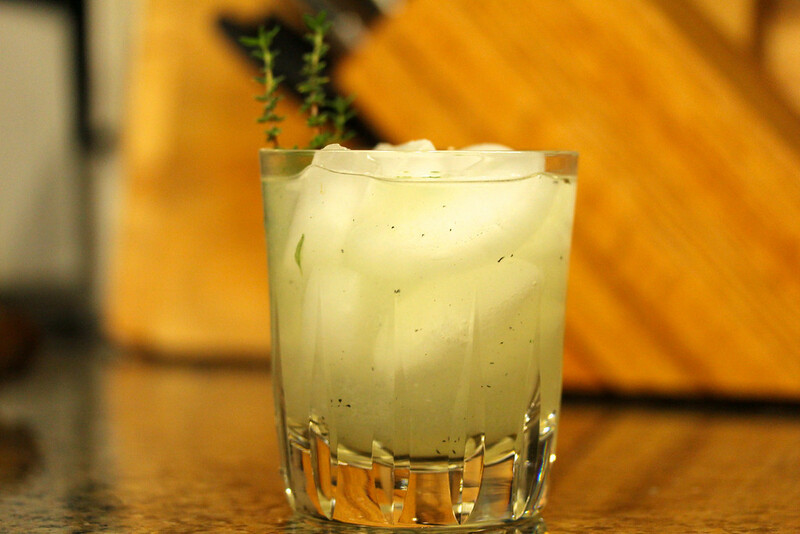 Note: The alcohol used for this recipe is Everclear or another brand of grain alcohol. In my state, I can only find the 151 proof version. 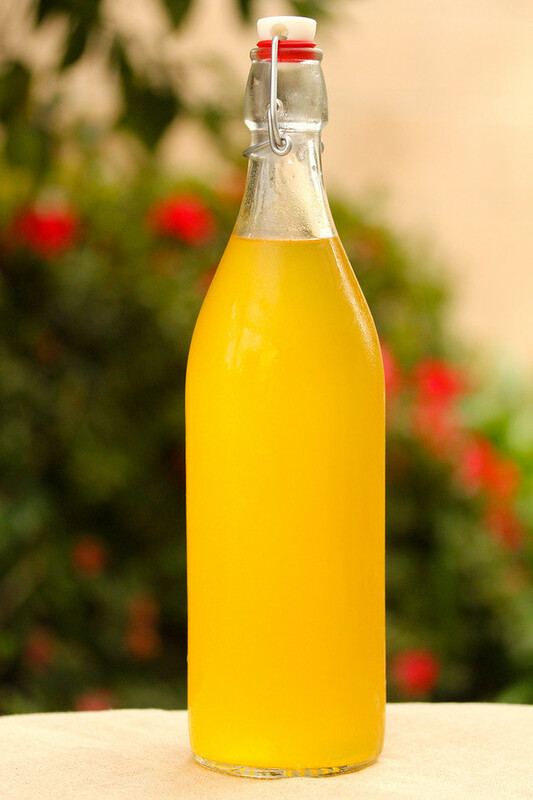 If you use the 190 proof Everclear, add an additional 1/3 C of water before bottling. If you cannot obtain grain alcohol where you live, you can use 100 proof vodka and reduce the total amount of water to 5 cups. I hate it when people move away. This cocktail is in honor of our friends, Jim and Michele, whom I credit with my renewed interest in cooking. I won't bore you with all of the details about how we met (work), but let's just say, we all hit it off. They had us over for dinner, we had them over for dinner, they had us over for dinner.... next thing you know, it escalated. It was awesome. They introduced us to Fine Cooking magazine, along with some pretty amazing music. As it turned out, we all were big fans of the same type of music. A challenge for me was to find new music they did not yet know about. I'm pretty sure I introduced them to Beirut and Kasey Chambers. They introduced us to a hell of a lot more. And then they moved away. Wah! Actually, we've gotten together several times since then, so I can't complain. Love you guys. I just wish you were closer. 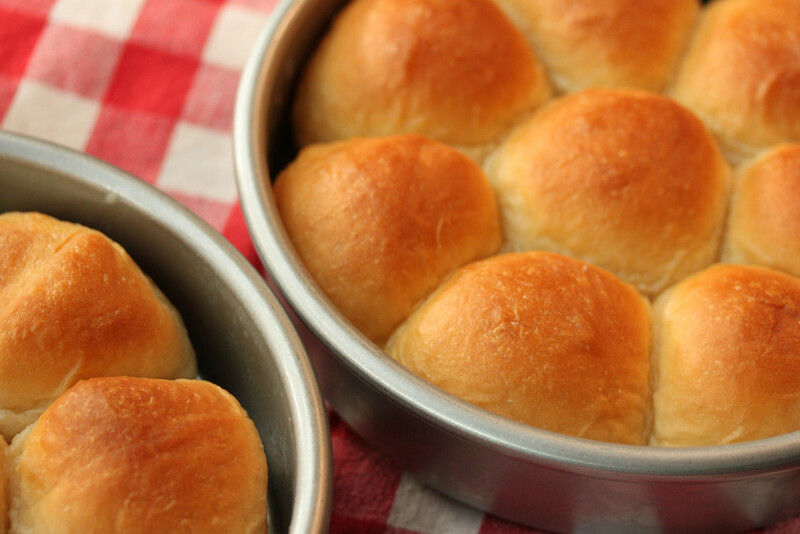 These are my favorite homemade soft dinner rolls. 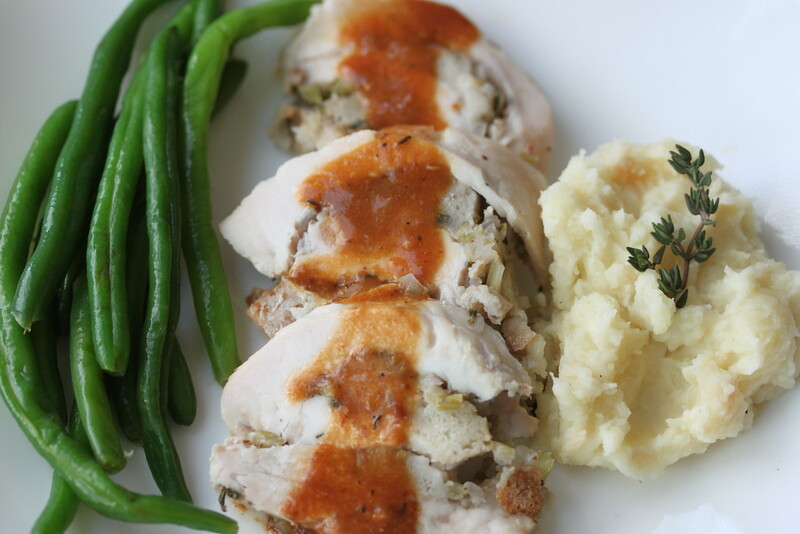 They're really easy to make, and the flavor is reminiscent of a traditional holiday meal. 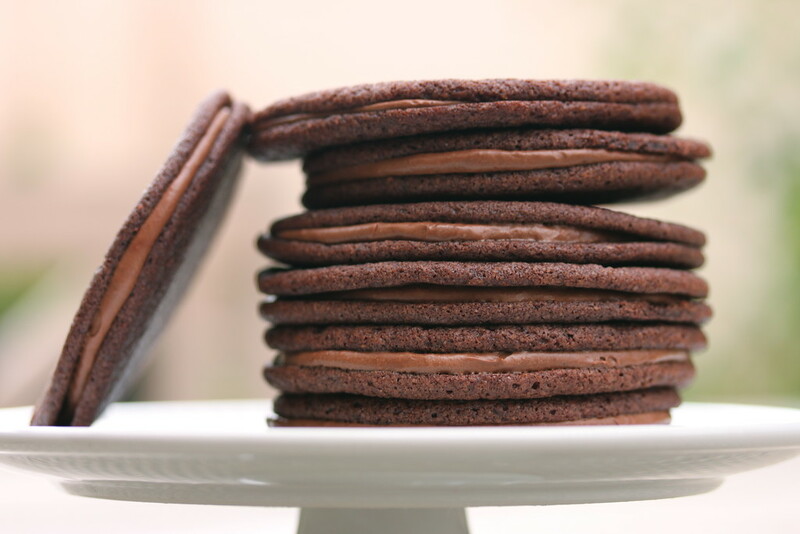 They are baked in 8 inch round cake pans, which help keep them extra soft. 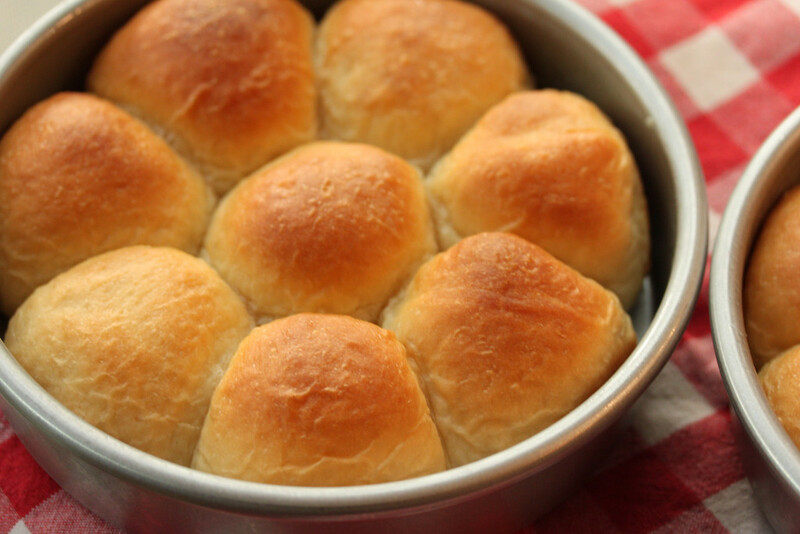 I've never managed to have any leftovers of these, but I'm pretty sure they would also make excellent buns for turkey sandwiches. Recently I've been making an effort to use the ingredients and kitchen equipment I have on hand. In fact, I get a little thrill when I see a new recipe and realize that I have ALL of the ingredients in my pantry or refrigerator. I also have been doing a pretty good job avoiding buying any new specialty and single use pans (Evidence: I actually survived making popovers without buying a popover pan). Until I saw this recipe and immediately bought a 14 by 4 1/4 inch tart pan. Isn't my new pan pretty? Sigh. So for the rest of you who have better willpower than I do, I've done the math. An 8 inch square or 9 inch round tart pan with a removable bottom will do just fine. This tart has a wonderful flavor. The pears and the ground almonds go together perfectly. 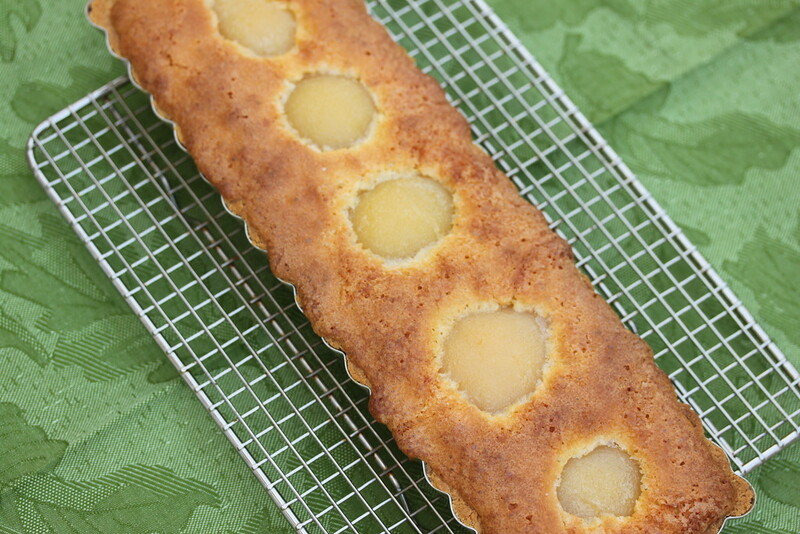 The finished tart is firm enough to be cut into bars for a dessert table. I think it would be lovely topped with vanilla ice cream and drizzled with dulce de leche. Beat the sugar, butter, salt, vanilla, and almond extract. Stir in the almond and all purpose flour to get crumbs that stick together when pressed. Pat the crumbs into the tart pan's bottom and sides and prick the crust several times with a fork. Stick the crust in the freezer for 15 minutes. Bake for 18 to 22 minutes, until barely browning around the edges. Beat the butter, salt, sugar, flour, and almond extract. Continue beating while adding in the eggs. Add the almond flour and stir until just combined. Spread the filling into the tart crust. 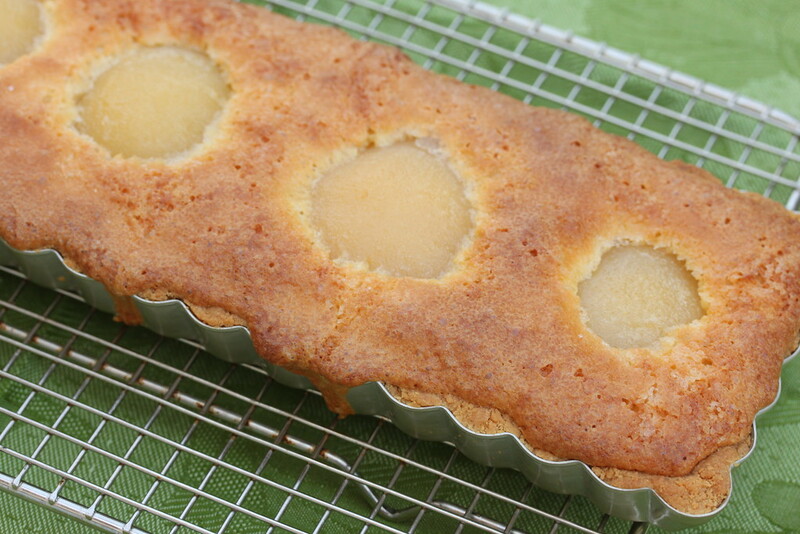 Push the pear halves into the filling. Brush the pears with the melted butter and sprinkle with sugar. Can be served warm, room temperature, or cold. This tart would be perfect cut into squares and served at a holiday dessert table. This bread is OMG good. 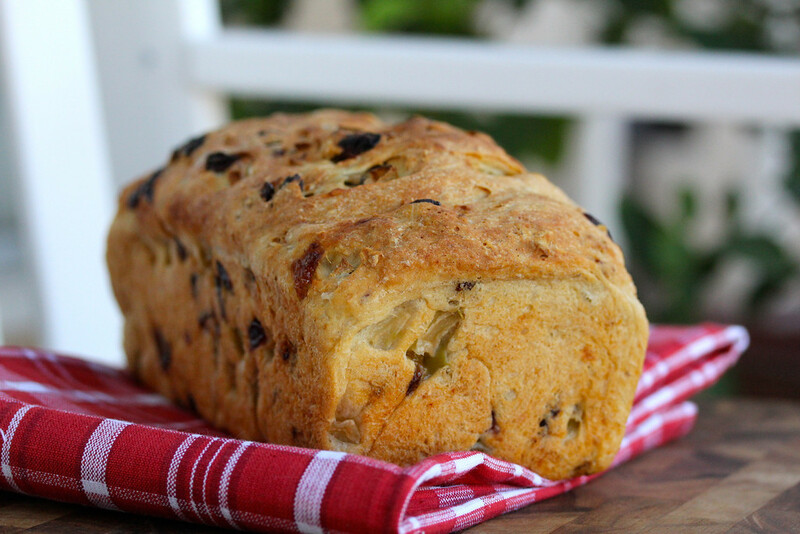 It's a combination of sourdough, one good-sized granny smith apple, raisins, and cranberries... perfect for autumn. The recipe also includes oats, potato flour, a bit of olive oil, salt, instant yeast, and a small amount of sugar. It's soft and ridiculously flavorful. I am always happy to find ways to use my three year old sourdough starter. Sometimes I neglect it for a while, but it always comes through. Here it is bubbling away after a feeding. To make this bread, I used a scale, an instant read thermometer, a stand mixer, and an 8 1/2 by 4 1/2 inch bread pan. You can probably get away without the scale, the mixer, and the thermometer, but they make things so much easier, and once you get them, you will use them over and over. I promise. Over the course of one year, I baked the 42 recipes in Peter Reinhart's The Bread Baker's Apprentice. In order. It was an excellent course in bread baking. I highly recommend doing something like this at least once. I own a lot of cookbooks. An embarrassing amount of cookbooks. Thank goodness for Amazon Wish List and libraries, or I would be in big trouble. That being said, it was so satisfying to have finally done something like this. This is the next installment of posts about this project. There is nothing really wrong with this bread. It's just that Peter presents them as if they would fill two bread pans to create traditional loaves, and as other bakers have found, they don't. Ultimately I ended up with two rounded loaves. This bread takes two days to complete. Day one is for the rye starter - a mix of 100% hydration sourdough starter plus pumpernickel flour and water. I got my pumpernickel from King Arthur Flour. Day two is for the final dough. This dough involves flour, brown sugar, bread crumbs, and a darkening agent such as cocoa powder, carob powder, instant coffee, or caramel coloring. I used Gravy Master, which is basically caramel coloring. 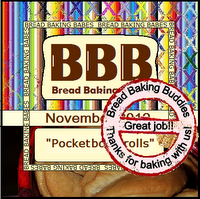 For more information from other bloggers about this recipe, Google BBA Challenge #34. Want the recipe? Check out the book! 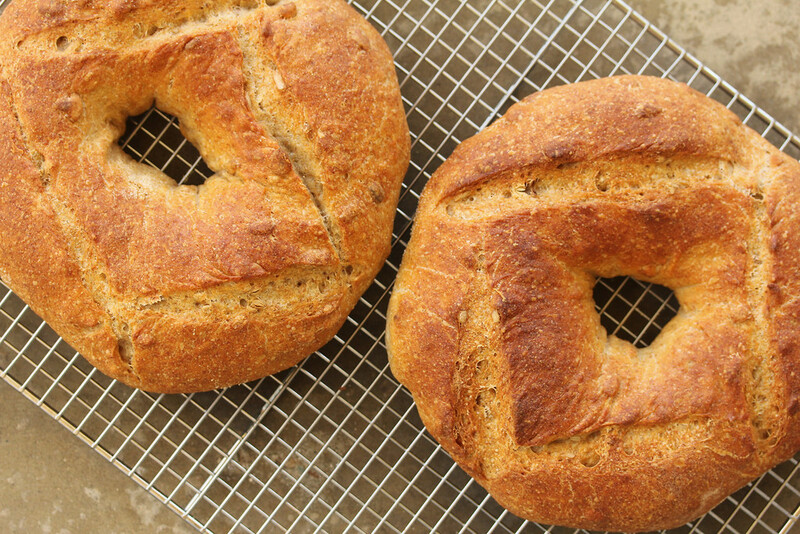 I know these look like two bagels, but they are actually two one pound loaves shaped into rings. 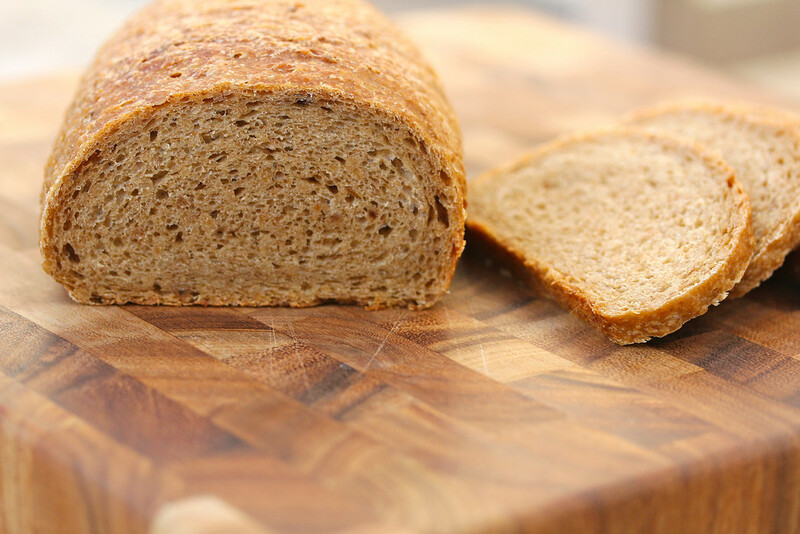 This bread involves making a soaker of pumpernickel or rye meal and water the day before making the bread. The next day, the soaker is combined with the high gluten flour, salt, yeast, water, and 1/2 C of toasted sunflower seeds. I toasted my sunflower seeds in a cast iron skillet (do not walk away if you do it this way, they can burn very quickly) and they added a wonderful flavor to the bread. By the way, home made rye bread does not taste like what you would buy in the store. 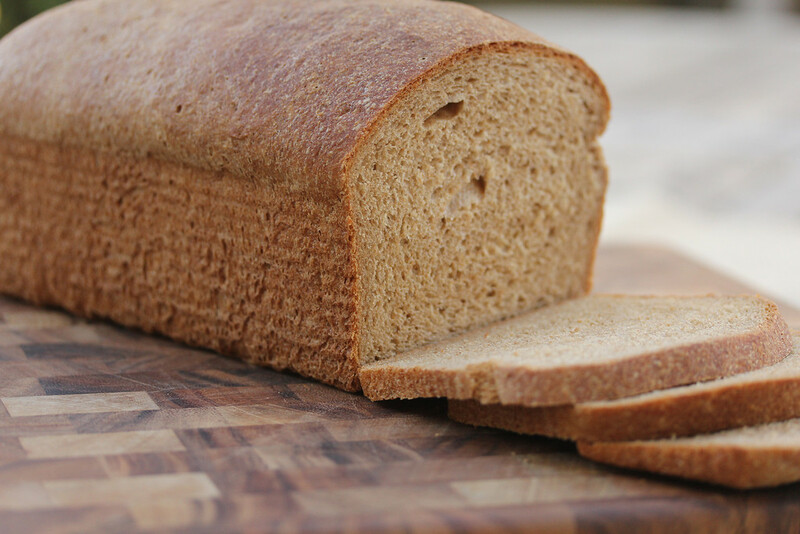 If you're nervous about it, start with recipes that contain no more that 1/4 to 1/3 rye. 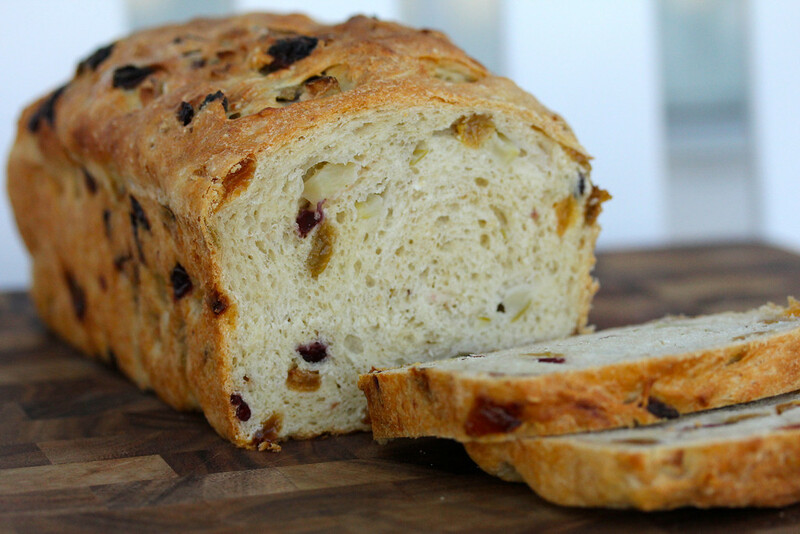 Adding just a couple of tablespoons to lean white breads is a wonderful way to work with rye. For more information about this recipe, Google BBA Challenge #35. 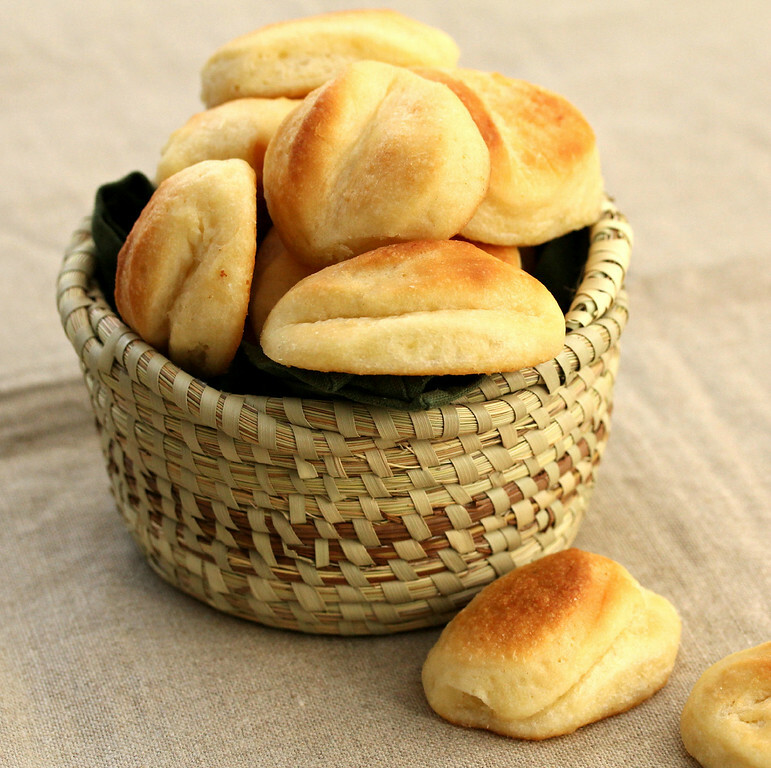 For great step-by-step instructions, visit The Bread Experience blog. 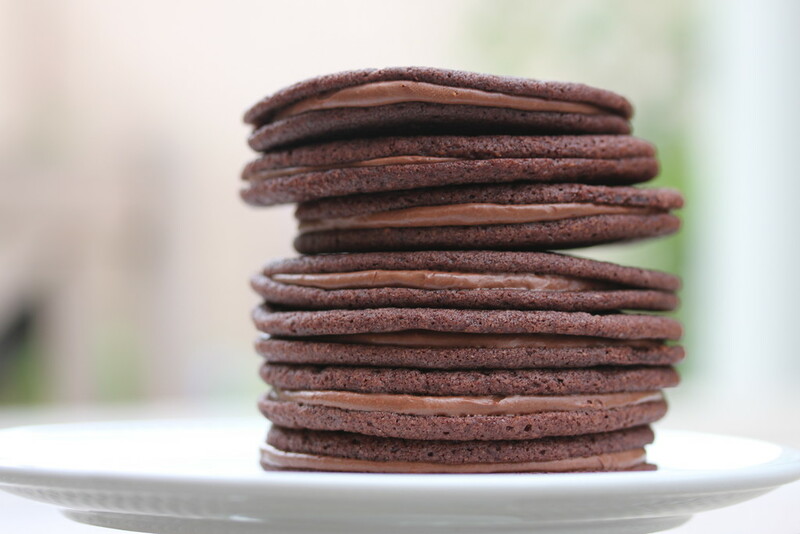 ﻿This is a true chocolate craver's cookie. It involves lots of cocoa powder, semi sweet chocolate, sour cream, cream cheese, and malted milk powder. I do not even want to know the calorie count. You have to place them far apart on the cookie sheet because they spread out like crazy into these flat rounds you see here. It's almost miraculous. The filling might make an excellent cupcake frosting. 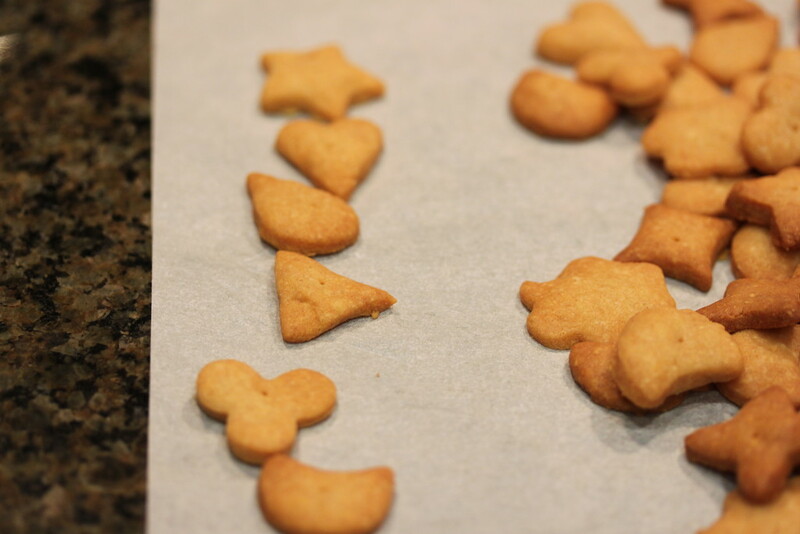 Use a portion scoop to measure out the cookies onto the cookie sheet so that they will be evenly sized. I'm thinking about making them smaller next time. Extended families... broken families... married adult children... step families... long distances... sometimes we can't just recreate the Thanksgiving of our childhood. When my parents got divorced, one of the things I hated was the pressure to show up everywhere on holidays. Suddenly we were all put in a situation that would automatically hurt one of our parents. It stunk. When we all got married, that added additional families to make happy. Not fun. One family I know moves the big meal to Saturday. Their adult children can visit the in-laws on Thursday (bonus points toward the Christmas tug-of-war) and they get plenty of extra time to prepare a fabulous feast. I like that idea! On the first and third Tuesday of every month, bakers join together to bake a recipe from Baking with Julia by Dorie Greenspan based on the PBS Series hosted by Julia Child. The book was written in 1996 and is over 400 pages of recipes from Julia's guests on the show. One of the recipes is a Martha Stewart wedding cake. Wonder when the group will make that! The recipe chosen for this week is Buttermilk Crumb Muffins from page 207. 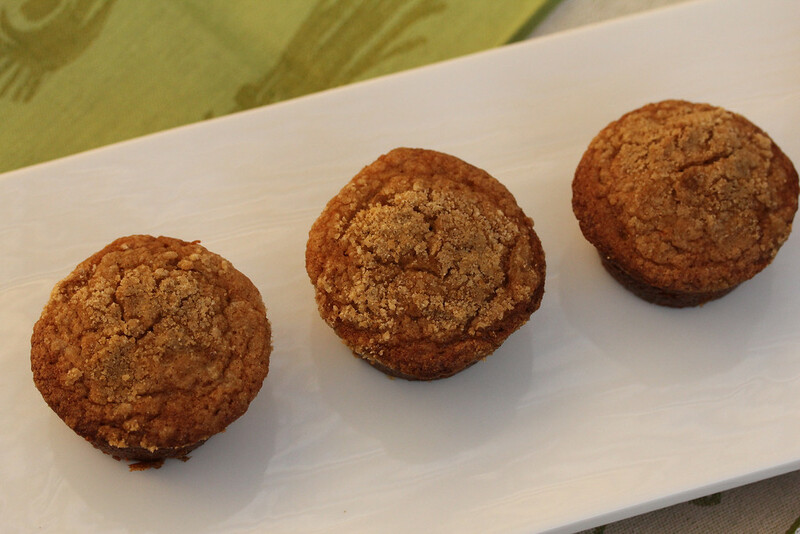 These muffins remind me of old school coffee cake. In fact, they are pretty old school in a lot of ways because they feature shortening and LOTS of brown sugar. In a way, they kind of taste like cinnamon crumb cake doughnuts, or even Snickerdoodles. 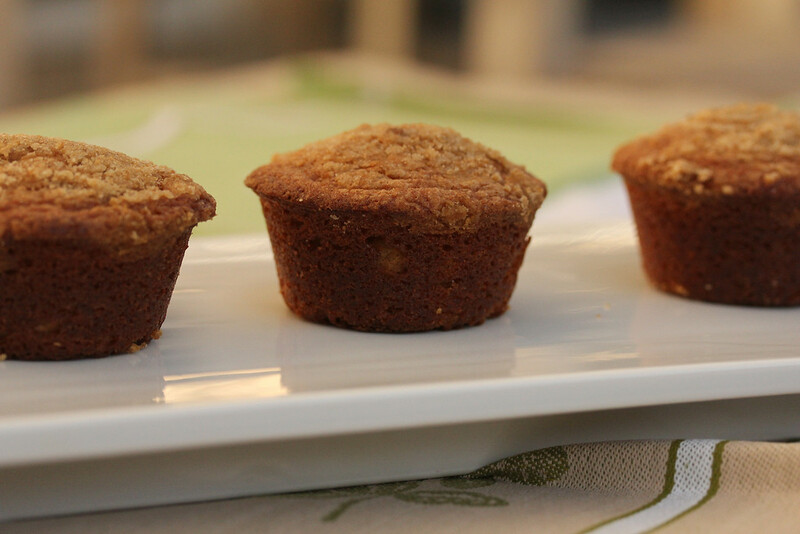 The recipe was very easy to follow, and the muffins would make a nice treat for a brunch buffet. The recipe says they are best on the day they are made and I would agree. If you make them in advance, the author recommends warming them before serving. Update: News flash! The muffins are actually better today (day three) after being wrapped in plastic wrap. They've gotten more moist. Magic muffins. 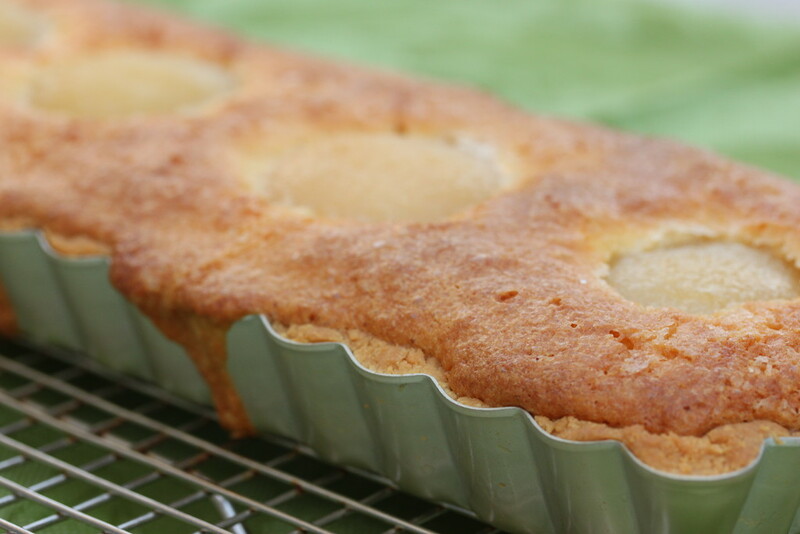 Click on this link to get the recipe from the host for this week, Alisa from Easier than Pie. The only variation I made to the recipe was to use buttermilk powder (I hate throwing away leftover buttermilk), which I mixed in with the dry ingredients. I used water to hydrate the ingredients. To find out more about the group and to find other bakers' links, hop over to the Tuesdays with Dorie site. Sounds cliche, but this bread is amazing. I'm just saying. 1 risen round of focaccia dough as described in my previous post. 2 ounces low moisture mozzarella cut into 1/2 inch cubes. 1/2 of a large red onion cut into one inch cubes. Olive oil to brush on the top of the bread. 1/3 C chopped sage leaves (do not chop finely).